From the first sign that the Olympics were coming to London, the Architen Landrell team were excited by the chance to be involved this once in a lifetime event. 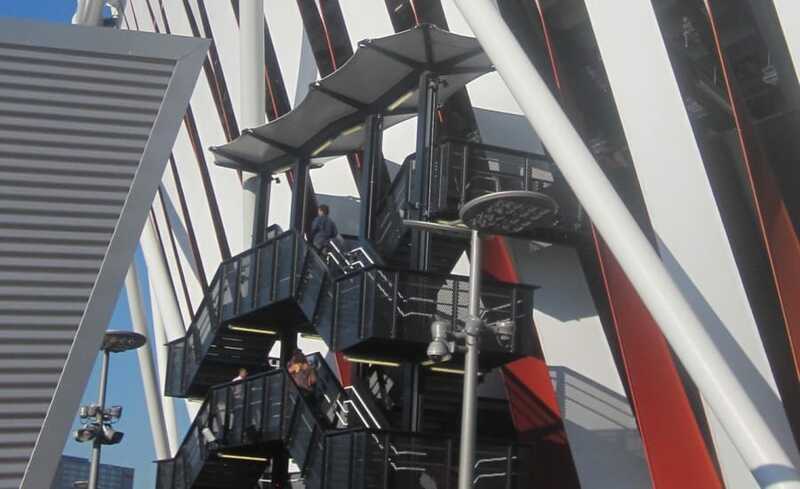 So when the first opportunity arose to work on the main stadium, we jumped at the chance to design, manufacture and install a series of identical fabric canopies sited some 11m above ground level above the staircases and escalators to the upper seating. 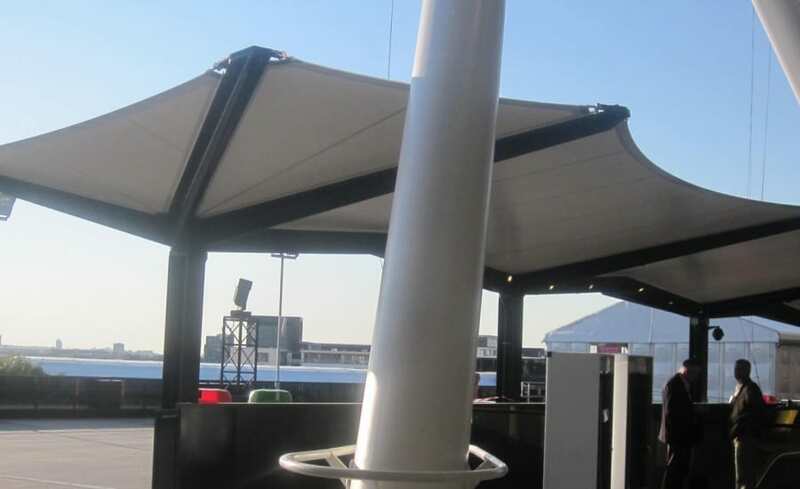 Working ultimately for Sir Robert McAlpine, the scalloped canopies were primarily designed to provide weather protection for stadium attendees accessing their seats. However, architects Populous were also keen to use them to bring a positive visual appearance to this functional area and provide a softer side the industrial design of the stadium. 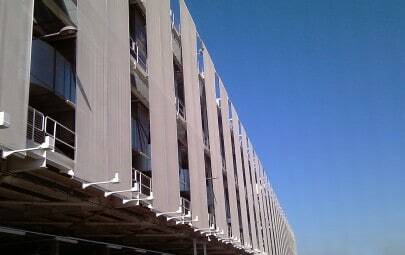 Covering a total of 252 square metres, each canopy comprised vertical posts, tied together with 3 spine sections with 12 projecting arms. The canopies were symmetrical about the spine axis and in plan present a slight curve which loosely corresponds to the curve of the main stadium adjacent. 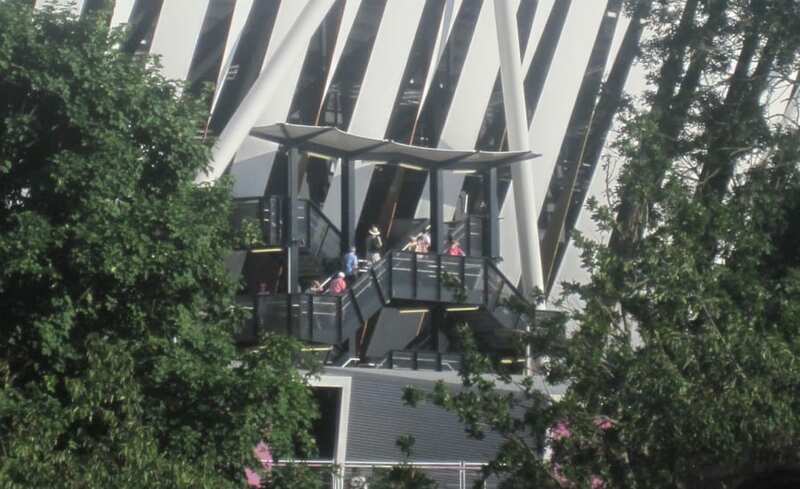 With steelwork provided by others, Architen Landrell was tasked with design and manufacture of the fabric panels through liaison with steelwork contractors CMF Limited and J&W Fabrication and Welding. With limited time available, it was imperative that steel and fabric were in complete harmony so the working relationships were particularly critical on this project. 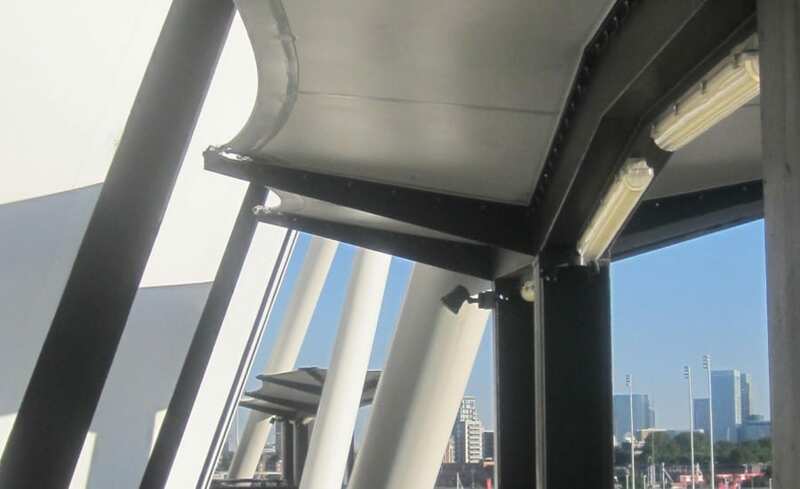 With such a high profile project and clear focus on the environmental aspects of the construction, the design team and Architen Landrell were keen to use the newly developed PVC coated polyester from Ferrari SA. Manufactured without phthalate plasticisers in the PVC coating, it offers a more environmentally friendly option to regular PVC with all the same technical properties as regular PVC coated polyester and the ability to recycle! Once manufacture was complete, our site team were inducted onto the UKs largest construction site to proceed with the installation. 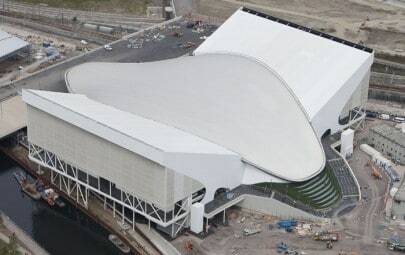 This comprised of fixing the double shotgun over the arches, installing clamp plates along the central spine, stainless steel cables and membrane plates, fabric panels and the application of an EPDM waterproofing membrane along the central spine and the rafters. 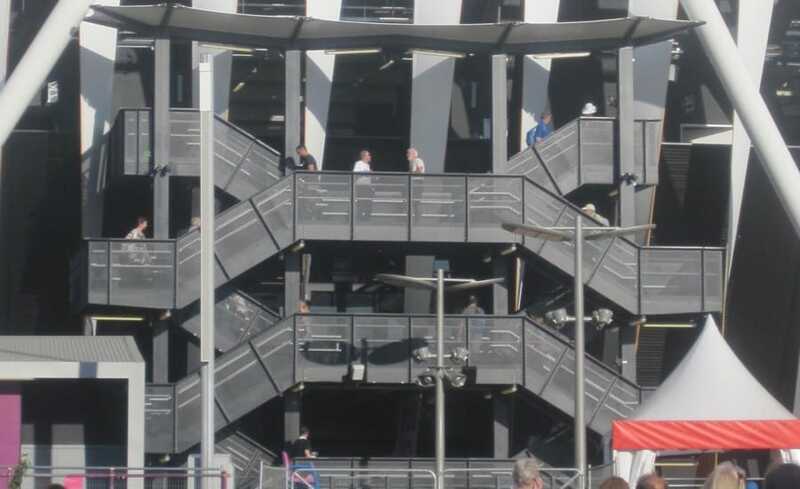 At times access was difficult; although the canopies were only positioned some 3500mm from floor level, the escalators are sited at one of the highest points of the stadium. It was necessary to use a 50 tonne crane to lift a second, smaller, crane to the escalator level, a process that had to be repeated in reverse upon completion and required extremely stringent health and safety controls. 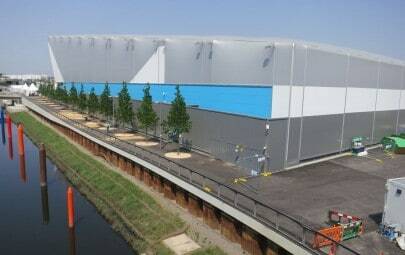 Despite a tricky installation process the project was completed successfully, on time and the team at Sir Robert McAlpine were particularly pleased with the result. Well done everyone!